Magnolia, a familiar sight in the South, a fragrant tree unmatched in its size and year-round beauty. Much like the new wood-look tile line from Florida Tile that bears the same name. 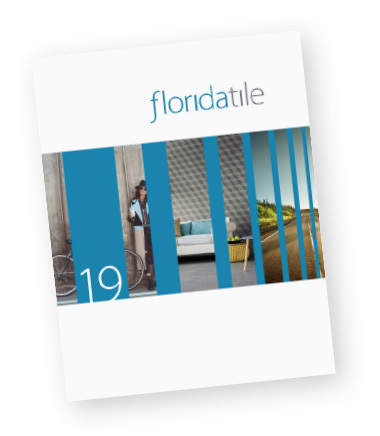 The MagnoliaHDP line from Florida Tile shares both a large format and year-round beauty. Created in a 8x36 pressed plank, MagnoliaHDP delivers a format consistent with the current trends in natural hardwood flooring, however without all of the maintenance and worries of a real wood. The new line is created with a wide smooth surface that is reserved in its texture, yet still gives the soft supple touches of natural wood surface. Available in 4 classic wood stain colors Chestnut, Mahogany, Burl and Cherry, and 2 more contemporary colors Ash and Fir. The MagnoliaHDP line from Florida Tile will no doubt give you year-round beauty. Developed using Florida Tile’s HDP—High Definition Porcelain® technology, the combination of a large grain pattern and gentle saw marks with minor imperfections that are inherent in a real wood, MagnoliaHDP will transport you to the air and elegance of a Southern Plantation. Developed for both commercial and residential applications, MagnoliaHDP is Made in the USA of 40% pre-consumer recycled content, is GREENGUARD® and Porcelain Tile certified and meets the DCOF AcuTest® requirements to be installed in wet areas.